If you find yourself in the scope of Science 2.0 founder Hank Campbell s rifle, expect a rough time. He has a zero tolerance policy for anti-scientific activist groups, and is more than willing to forego good manners when he deals with them. Yesterday, Campbell took on the Union of Concerned Scientists, and BBC environment correspondent Matt McGrath in a way that does disservice to the word blunt. For example, he wrote, Want to scare people about a pesticide? Compare it to DDT. 40+ years after it was banned in a bit of scientization of politics, people have still heard of it. DDT may be the only pesticide many people have ever heard of. Environmental groups love to invoke it for that reason. This, of course, is what we have been saying at ACSH for years that bad science, and activism based on scare tactics can combine to give terrible results. DDT would have saved the lives of many millions of people in Africa had it not been banned across the world beginning in 1968. Campbell notes, There was nothing exceptional about [DDT] other than the fact that it could have saved millions of kids from malaria if activists were forced to do studies before issuing press releases. But once you get a Joni Mitchell song written about your product, someone in Congress is going to take action. Yikes. Likewise, Campbell is now taking aim at activists groups that claim that a class of insecticides called neonicotinoids is responsible for the mass extinction of bees across the globe. 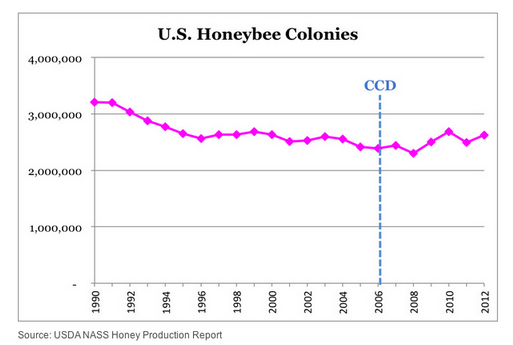 Campbell explains, Well, bees have gone up overall since neonicotinoids were introduced. 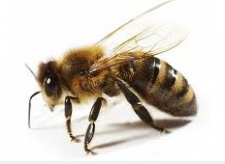 Yes, there are some areas where they have gone down, and more bees die in colder winters, but when 75% of bees where neonicotinoids are in use are doing great and just one area is having losses, that is a weather or climate issue, not a pesticide one. ACSH s Dr. Josh Bloom says, Hank is dead on. He understands what makes the activist environmental world tick money, bad science, scares, and money. We asked Campbell why he is writing about this now. His answer: "There needs to be constant vigilance about science and the environment - science developed neonicotinoids to replace products that were worse - but blaming first and then looking for a justification leads to public distrust of science. Though bee colonies haven't gone down, environmentalists are controlling the message and if the public gets mobilized, politicians will fix a problem we don't have, and that means we could end up rushing a replacement to market that actually is harmful."